Welcome to Beech Green Primary School. We hope you find our website interesting, informative and helpful. We have tried hard to include all the information you may need but please don’t hesitate to contact us if you require anything further, or if you’d like to visit the school – you’d be assured of a warm welcome! Beech Green Primary School is situated in the heart of Quedgeley, on the outskirts of Gloucester. We are a popular two form entry primary school with a purpose built Nursery school on site, which is run by a separate management committee. Beech Green has developed a very strong reputation in the local community for our high levels of care and support for all our pupils and their families. 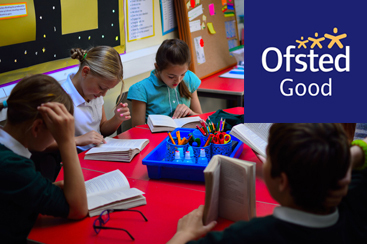 Our most recent Ofsted inspection rated the school as “Good”. Academic standards in the vital areas of reading, writing and maths are very important to us but we’re confident that our school curriculum also ensures our pupils are well prepared for life in modern Britain. We teach all aspects of the statutory National Curriculum but we also plan activities and events to ensure our pupils develop skills, understanding and knowledge in three areas which we’ve identified as being particularly important to our pupils. We refer to these areas as our “Key Drivers” and they are 'Knowledge and Understanding of the World', 'Personal Well-being' and 'The Arts'. The latter has been a strong feature of the school’s provision over many years; highlighted by the fact that we’ve held the Artsmark Gold Award since 2002. P.E and competitive school sport is also an important part of our provision as we regularly organise and participate in matches and tournaments against other schools. I hope you would agree that our commitment to providing a genuinely broad and balanced curriculum, tailored to the needs of our pupils, is abundantly clear. Skilled staff, supportive parents and committed governors all combine to make Beech Green Primary School an excellent place for all our pupils to learn and grow.